That government plays a significant role regulating and financing healthcare is no secret. This can, at times, create tensions between regulators and doctors, such as when both groups define the effectiveness of a medical treatment in a different manner. At a recent lecture, the New York State Commissioner of Health, Dr. Nirav R. Shah, illuminated this tension when a physician in the audience asked why his practice’s medical treatment for substance abuse had not been approved by the state. Dr. Shah responded by arguing that as a regulator, he needed to see data that not only demonstrated the medical effectiveness, but also the cost effectiveness of the treatment. This language of cost and medical effectiveness as demonstrated by data is the language of regulators. While doctors are trained to think about medical issues, regulators are trained to think about dollars and cents. Sometimes these conflict and create a gulf between regulators and doctors. To bridge this gulf, regulators are nudging doctors and researchers to conduct more comparative-effectiveness research when evaluating multiple treatments for a medical issue. For doctors, the goal is to provide more information when prescribing a course of treatment for a patient; for regulators, the goal is to root-out ineffective or unnecessary treatments. This type of research falls squarely in the sphere of evidence based medicine, which, at its best, aims to augment a doctor’s personal experiences with the most up-to-date external research gleaned from real world patients, not just controlled experiments. Comparative effectiveness research is popular with regulators because it translates the world of medicine into their language. 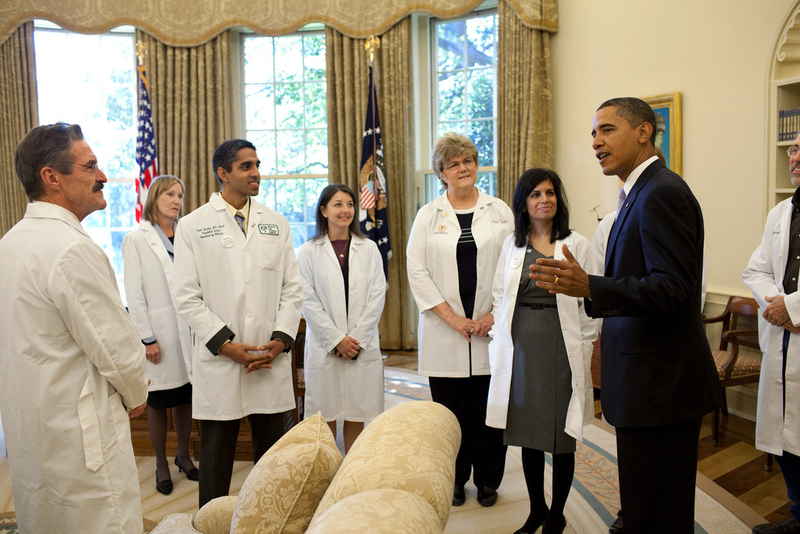 The Affordable Care Act even created the Patient-Centered Outcomes Research Institute; a non-profit designed to fund comparative effectiveness research. However, there are critics in the healthcare sector who disagree with this approach. Clinicians continue to worry about the crowding out of their clinical expertise through the use of data because not every medical issue is an exact match. Manufacturers, including pharmaceutical companies, also protest the approach because it has the potential to invalidate drugs, devices, and procedures, thereby cutting into profit margins. Ultimately, comparative effectiveness research has the potential to reduce the cost of care, a core concern of both regulators and doctors in the U.S. With international evidence behind them, regulators will continue to prod researchers and doctors to use this approach in medicine. For doctors, the approach offers an opportunity to make data based decisions when deciding a course of treatment. Although too early to say whether it is a win-win scenario, expect to read much more on the use of comparative effectiveness research, particularly with more people receiving health insurance through the Affordable Care Act. Fletcher is currently pursuing a Master of Public Administration degree at the Maxwell School of Syracuse University, where he focuses on health policy and state/local financial management. He writes about issues regarding the relationship between the health care industry and governmental entities.